We offer photo booths for all occasions. 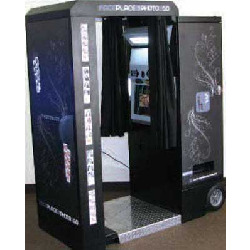 For formal and corporate events we offer two options, the large enclosed photo booth which fits up to 8 guests at a time or the classy deluxe photo booth with digital prop box and complete autonomy. 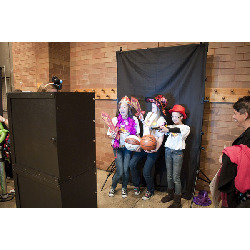 For graduations and birthdays we have the open air photo booth, cost effective but packed full of fun. No matter which photo booth you rent you will get photo quality prints in just seconds and the option to have all your photos on a DVD or USB drive. Photo Booth Deluxe - Click to learn more! 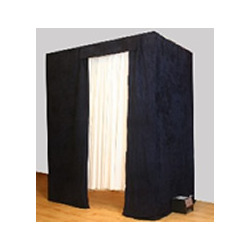 Photo Booth - Enclosed - Click to learn more!